"Then the man brought me to the gate facing east, and I saw the glory of the God of Israel coming from the east. His voice was like the roar of rushing waters, and the land was radiant with his glory. The vision I saw was like the vision I had seen when he came to destroy the city and like the visions I had seen by the Kebar River, and I fell facedown. The glory of the Lord entered the temple through the gate facing east. Then the Spirit lifted me up and brought me into the inner court, and the glory of the Lord filled the temple. While the man was standing beside me, I heard someone speaking to me from inside the temple. 'Son of man, this is the place of my throne and the place for the soles of my feet. This is where I will live among the Israelites forever. The people of Israel will never again defile my holy name — neither they nor their kings — by their prostitution and the funeral offerings for their kings at their death.' "
In Ezekiel 43:1-7 the appearance of the glory of God is described. The glory (Hb, kabod) of the Lord that Ezekiel sees is identified as the same glory and the same Lord that Ezekiel saw when God appeared to him at the Kebar River in chapters 1 and 3. It is the same God that left the temple in Jerusalem in chapter 10-11 (also Ezekiel 8:2-5). Ezekiel is given a vision of the Lord returning to Jerusalem to occupy a new temple that had been described in detail in Ezekiel 40-42. It seems clear that this text is describing the Lord returning in glory to his restored people of Israel to occupy a future temple that is yet to be constructed in Jerusalem. Zerubbabel’s temple of 516 BC and Herod’s temple of the New Testament would not meet the description, the dimensions, the conditions and it did not have the returned glory of the presence of God. Also, neither of those two temples held the Ark of the Covenant. The appearing of the Lord in glory and coming from Mt. Olive east of the Jerusalem temple mount would fit well with Zechariah’s description of the same event that will inaugurate the kingdom reign of the Lord (Zechariah 14:1-9). This would be the return of Jesus described by Jesus in Matthew 25:31 and 26:29. Is the power of the Word, the power of Faith and the power of the Holy Spirit changing me? I will be transformed into the image of Christ through the renewing of my mind. 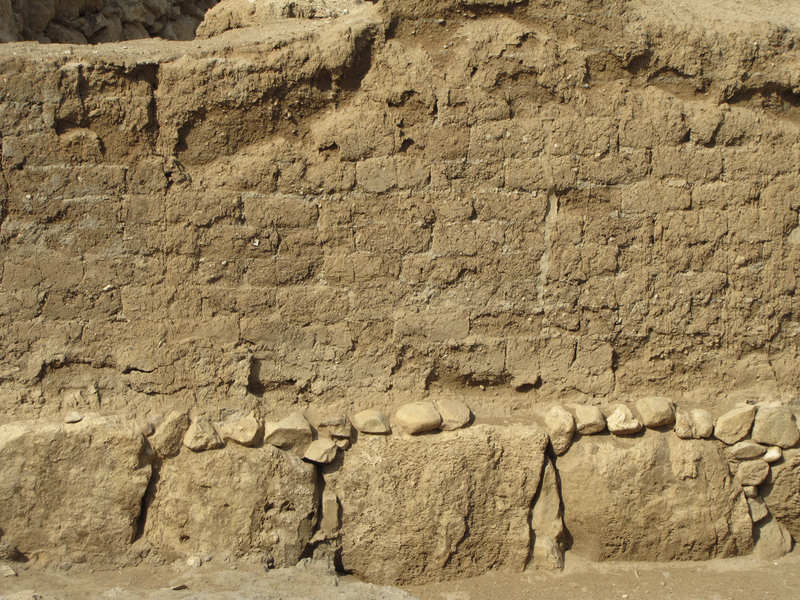 Mud bricks at Jericho located outside the city's retaining walls. (3) The destruction level of the Assyrian invasion in 721 BC is irrefutable. "The sluggard is wiser in his own eyes than seven men who answer discreetly." 24 Then I set apart twelve of the leading priests, namely, Sherebiah, Hashabiah and ten of their brothers, 25 and I weighed out to them the offering of silver and gold and the articles that the king, his advisers, his officials and all Israel present there had donated for the house of our God. 26 I weighed out to them 650 talents of silver, silver articles weighing 100 talents, 100 talents of gold, 27 20 bowls of gold valued at 1,000 darics, and two fine articles of polished bronze, as precious as gold. 35 Then the exiles who had returned from captivity sacrificed burnt offerings to the God of Israel: twelve bulls for all Israel, ninety-six rams, seventy-seven male lambs and, as a sin offering, twelve male goats. All this was a burnt offering to the Lord. 36 They also delivered the king’s orders to the royal satraps and to the governors of Trans-Euphrates, who then gave assistance to the people and to the house of God. Remember, Lord, what has happened to us; look, and see our disgrace. Our inheritance has been turned over to strangers, our homes to foreigners. We have become fatherless, our mothers are widows. We must buy the water we drink; our wood can be had only at a price. Those who pursue us are at our heels; we are weary and find no rest. We submitted to Egypt and Assyria to get enough bread. Our ancestors sinned and are no more, and we bear their punishment. Slaves rule over us, and there is no one to free us from their hands. We get our bread at the risk of our lives because of the sword in the desert. Our skin is hot as an oven, feverish from hunger. Women have been violated in Zion, and virgins in the towns of Judah. Princes have been hung up by their hands; elders are shown no respect. Young men toil at the millstones; boys stagger under loads of wood. The elders are gone from the city gate; the young men have stopped their music. Joy is gone from our hearts; our dancing has turned to mourning. The crown has fallen from our head. Woe to us, for we have sinned! for Mount Zion, which lies desolate, with jackals prowling over it. Why do you always forget us? Why do you forsake us so long? unless you have utterly rejected us and are angry with us beyond measure.